Although there are a few conversations that I've had multiple times with my kids, one that occurs quite often begins with my Are you SURE you're done eating? Your belly is full? It's a long time until [next meal]! At which time Big Sister E usually contemplates if she wants to eat more or Little Sister B replies I'm going to ask my belly. Belly are you full? and then, in a high-pitched, squeaky voice, Yes! I'm full! Does any of this mean that either of them won't be complaining that they're hungry an hour later? If you've been around kids before, then you already know the answer to that. So when it comes to filling my whole family up and keeping them satisfied throughout the day, I'm happy knowing that there are restaurants that know what it takes to continually reinvent the family dining experience. And now they've done it again! IHOP, the chain known for its world famous buttermilk pancakes for more than half a century, has recently turned up the flavor for breakfast by announcing the availability of three new Griddle Melts! 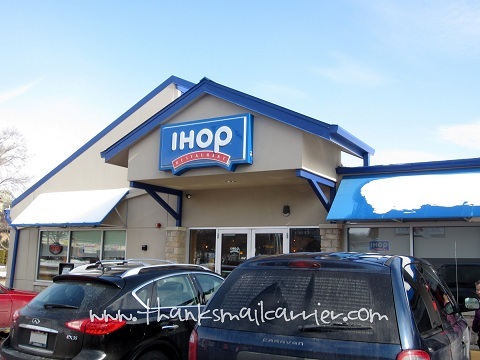 For 53 years, IHOP has served its world famous pancakes and a wide variety of breakfast, lunch and dinner items that are loved by people of all ages. 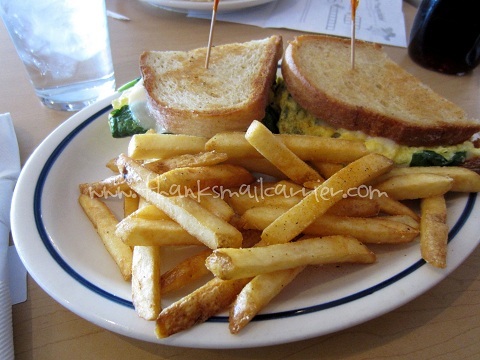 As we have always found that IHOP does indeed offer its guests an affordable, everyday dining experience with warm and friendly service, we were excited to get to head over for a visit. After hearing about these new large, hearty, hand-crafted Griddle Melts, our mouths were watering to bite into the artisan sourdough bread even before we arrived at the restaurant. 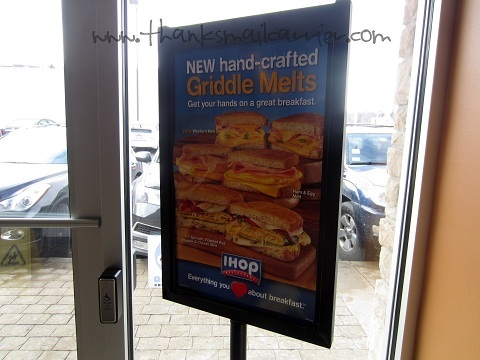 Right inside the front door, we found the three new Griddle Melts showcased in a special display... with each one looking just as delectable as the next. Spinach, Roasted Pepper & Cheese: Sautéed fresh spinach in a fluffy egg omelet topped with roasted red peppers and onions, melted Provolone, Parmesan and Pepper Jack cheeses on grilled artisan sourdough bread. Served with your choice of hash browns, French fries or seasonal fruit. Western: Smoked ham and sautéed peppers and onions in a classic omelet, topped with sliced ham, melted American cheese and served on grilled artisan sourdough bread. Served with your choice of hash browns, French fries or seasonal fruit. Ham & Egg Melt: Sliced ham and melted Swiss and American cheeses over a fluffy egg omelet served on grilled artisan sourdough bread. Served with your choice of hash browns, French fries or seasonal fruit. As soon as we made our way to our table, the Griddle Melts were calling me from there as well! While all three Griddle Melt creations sounded tasty (and I love that you can select your side to make your meal more "breakfast" or more "lunch"), I decided on the Spinach, Roasted Pepper & Cheese and was happy to know that the chefs would begin to custom-make my sandwich just for me. If you've eaten a fast food breakfast sandwich that has been sitting out for a while, then you know the difference! Sure enough, when my plate was put in front of me a short time later, this sandwich looked and smelled fresh and delicious! I'm a big fan of quite a few breakfast foods, but the combination of this fluffy egg omelet with the melted cheeses, tasty red peppers and onions, and the thick artisan sourdough bread just works together so well! I had expected that I would enjoy this Griddle Melt, but not that I would love it so much from the first bite! 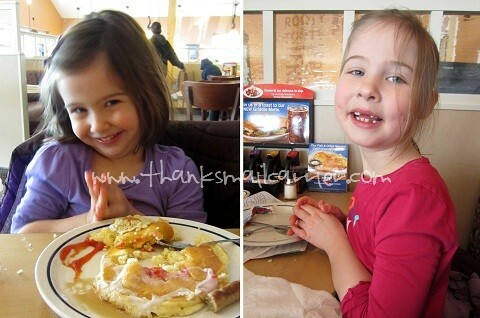 I felt just as pleased with my meal as my kids did with their cute Create-A-Face pancakes — we were all grinning due to our happy bellies! 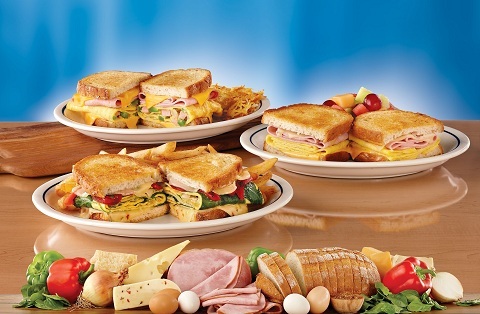 IHOP's hand-crafted Griddle Melts are available for $4.99 for a half sandwich and $6.99 for the full, so be sure to head over and try them today — they really are tasty for any meal of the day! 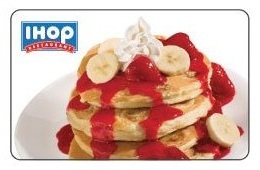 A big thank you to IHOP for providing gift cards for me as well as a $25 gift card for one lucky giveaway winner. The opinions shared are my own and honest and if you really need to see more, click here to see how I roll. The Spinach, Roasted Pepper and Cheese Griddle Melt sounds perfect to me! I'd like to try the Western. I would like to try the Egg and Ham melt! Ham & Egg Melt would be nice to try first. Id love to try the Ham & Egg! Spinach, roasted pepper and cheese! I would like to try the Spinach and Roasted Pepper melt. I don't understand the change in the Twitter entry. I follow you on Twitter, but why do I have to give you access to post on my Twitter account? I don't agree with this requirement to enter the giveaway. The Western sounds good to me! I would have to say Ham and Egg!!! I would try the Western. The Spinach, Roasted Red Pepper, and Cheese would be my first pick, and then the next time, I'd try the Western! Ham & Egg sounds yummy! I would like to try the ham & egg melt. Spinach, Roasted Pepper and Cheese Griddle Melt! Thanks for the chance to win! i want to try the western. The ham and egg sounds great to me! Hard choice! I think I'd go with the spinach, red pepper, and cheese over the Ham and cheese with the artisan french bread, though that sounds awesome, too! I would choose the Spinach, Roasted Pepper & Cheese melt. I would try the Spinach, Roasted Pepper & Cheese first. I would choose the spinach. I love the combination of cheeses listed for this one. The western omelet sounds good! I'd love to try the Western one first. spinach, roasted pepper and cheese sounds tasty. I want to try the western one first! Yummy. I would like to try the spinach variety. I would try the ham and egg melt. I'm a simple gal who knows what she likes, I'd have the Ham & Cheese melt first (& always probably) with fries & some ranch for dipping. Yum! Spinach, Roasted Pepper & Cheese. 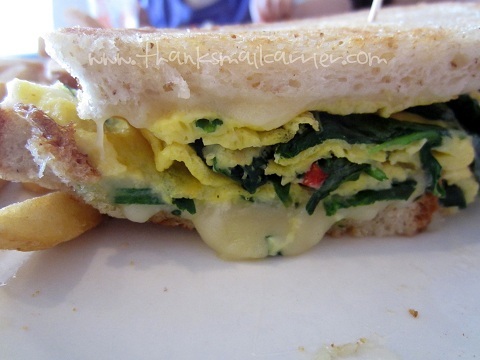 I would love to try the Spinach, Roasted Peppers and Cheese Griddle Melt! Spinach, red pepper and cheese would be my first pick. I'd love to try the Ham & Egg melt. Thanks so much. Spinach, peppers and cheese for me! I'd love to try the Spinach, Roasted Pepper & Cheese Melt! I would choose the Ham & Egg Melt. ham and egg melt - yum! I would choose the Spinach, Roasted Pepper & Cheese. I'd like to try the ham and egg melt. Ham & egg sounds delish! The ham and egg sounds amazing! I would like to try the Egg and Ham Melt! Thanks so much for the fantastic giveaway! Spinach, Roasted Pepper & Cheese sounds delicious!! The Ham and Egg Melt. Thanks. Ham and egg but I would have to go back and try the spinach too. I'd like the ham and egg melt. I would get the Ham & Egg Melt. I'd like to try the Western! the ham & egg melt sounds great!! I'd love to try the Spinach, Roasted Pepper & Cheese Griddle Melt. I would go for the Western. I would love to try the Spinach, Roasted Pepper & Cheese and Ham & Egg. I would like to try the Western. The Spinach, Roasted Pepper & Cheese & the Western both sound good to me! They all sound good, but I'd probably order the Western. spinach roasted pepper, great now Im hungry!! I'd like to try the Ham and Egg first! I'd like to try the Ham and Egg melt! Of those varieties, I'd choose the Ham and Egg. I LOVE Spinach & Cheese & Pepper - I can never resist Spinach! I would like to try the Western!! I would like to try the Western-yee-hah! The Western sounds really good to me. definitely the spinach roasted pepper with cheese! I'd try the Ham & Egg Melt first. 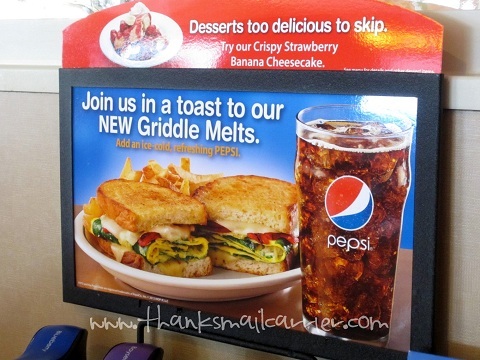 Western griddle melt sounds delish! The Spinach, Roasted Pepper and Cheese Griddle Melt! Spinach, Roasted Pepper, and cheese! I'd like to try the Spinach, Roasted Pepper & Cheese first. I'd like to try the Western one! I would love the Spinach, roasted pepper and cheese! Spinach, Roasted Pepper, and Cheese. I think I would like the western the most. Spinach, roasted pepper and cheese sounds heavenly! I would try the Spinach, roasted pepper and cheese. I would like to try the Spinach, Roasted Pepper & Cheese Griddle Melt first. I would like to try the Western first!